For the next three weeks, New York City will resonate with the energy of Austria. Vienna: City of Dreams will feature a slate of events presented by Carnegie Hall. Capping the festival will be symphony performances of the Vienna Philharmonic, an orchestra which has been celebrated since its first concert in 1842. This arrangement of musicians became a cultural beacon in post-World War II Austria, the subject of Oliver Rathkolb’s The Paradoxical Republic: Austria 1945-2005. Following, in an excerpt from the volume, which will soon be published as a paperback, Rathkolb discusses the Philharmonic’s presence in a discordant time. 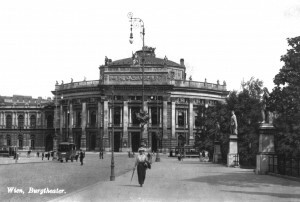 In 1953 . . . neither the Vienna Staatsoper nor the Burgtheater had yet been rebuilt; they were not yet functional as memory sites. However, this did not detract from the importance of the aesthetic role music, notably classical music, played in the postwar era. The sense of purpose felt when the old and new political and economic elites gathered for the first Philharmonic concerts on 27 and 28 April 1945 was highly significant. There was a strong admixture of the Soviet military in the audience, deliberately encouraged by the liberal dispensation of free tickets by the Philharmonic. This was followed in rapid succession by musical events staged by the Austro-French Association with works by Berlioz, Bizet, Ravel and others. The Soviet Union sent three star violinists (amongst them David Oistrakh) to claim their share in the nascent memory site of the Vienna Philharmonic. The politics of culture was, after all, not an exclusively Austrian domain. As a collective, the Vienna Philharmonic had special meals laid on for them at the Rathauskeller (an exclusive restaurant in the Vienna Rathaus, or Town Hall), received extra rations of clothing material and fuel, and were partly exempted from denazification measures. As former NSDAP (Nationalsozialistische Deutsche Arbeiterpartei) members, a quarter of the orchestra members were suspended from active service, but the purge was confined predominantly to elderly musicians. The top priority was for the orchestra not to lose too many musicians, as this would have told in its sound. The public debate concerning the orchestra’s Nazi involvement got bogged down at the level of individual party memberships. A genuine debate about what had happened inside the orchestra, namely the dismissal or pensioning-off of Jewish musicians, and the artistic consequences of the banning of Jewish composers from the repertoire would arguably have resulted in deeper insight. . . And as it was, the cachet of the orchestra’s name and the political usefulness deriving from it ultimately upstaged the government’s determination to carry through its denazification programme. The Allies also caved in from 1947 on. It was only for the orchestra’s first tour abroad to France and Switzerland that ex-NSDAP members were denied visas. A ‘final’ line was drawn on the Nazi issue with an appearance of the orchestra at the Edinburgh Festival under the leadership of the émigré Bruno Walter, one of the most renowned conductors of the twentieth century, whose association with the orchestra dated back to the days when Gustav Mahler made him Kapellmeister at Vienna’s Hofoper in 1901. The concert was cleverly used to highlight the contrast between the brilliant orchestra and its war-ravaged home. Sympathy and admiration drowned out any criticism of the behaviour of the Austrians during the Holocaust and Second World War in general. For the concert, Friedrich Buxbaum, then the cellist of the Rosé Quartet, who had been driven from Austria in 1938, even took up his former place as principal cellist. The Edinburgh concert was managed on behalf of the Verein Wiener Philharmoniker by another Viennese émigré, Rudolf Bing, who was determined to raise the newly founded festival to a par with Salzburg and Bayreuth by involving only the very best artists. Bing, incidentally, is an example of how the exodus from Hitler’s Germany brought legions of artists or people close to the arts (such as cultural managers) to the U.S. and the U.K., where they became active in making classical music a global phenomenon and in enhancing, if highly indirectly, Austria’s prestige as a musical country. The fact that Austria was established, one might almost say, as a brand name for music, has to do with the acculturation abroad of thousands of its artistic elite after their expulsion, which has not received nearly the attention it would deserve. Some U.S. authors and Holocaust survivors refer to this as ‘Hitler’s gift to America’. The public discourse in Austria on the ‘gesture of reconciliation’, which the concert in Edinburgh was supposed to constitute, remained muted, and the racist persecution that Bruno Walter had suffered was hardly ever referred to. This was business as usual: reports on Richard Tauber’s reappearance on the operatic stage often contained the formula ‘again … after a long interval’. The reluctance openly to address the reasons why these artists had been exiled was arguably connected to an admission of guilt that had to be suppressed in order not to jeopardize the ‘victim doctrine’. When Bruno Walter signed a petition together with Alma Mahler-Werfel concerning the overdue restitution of looted Jewish property, he was attacked, under the banner headline ‘Attack on Austria’, as part of a ‘Jewish global conspiracy’ by the VdU protagonist Viktor Reimann. The ‘victim doctrine’ was to be quickly and effectively installed on the international stage. The Vienna Philharmonic contributed its share during the first years. Even in the Netherlands, where Nazi and SS cliques under the leadership of the Austrian Arthur Seyß-Inquart had committed atrocities and where the Vienna Philharmonic itself had appeared in the service of the German ‘Kulturmission’, the 1950 tour under Wilhelm Furtwängler was highly successful. The report filed by the Austrian embassy notes with satisfaction the success of this ‘goodwill tour’, which was undertaken despite considerable risk – Furtwängler had been Adolf Hitler’s favourite conductor and one of the figureheads of German cultural propaganda – ‘in dealing with possible last repercussions caused by memories of the country’s occupation under Seyß-Inquart’. As far as the internal mechanics of the orchestra were concerned, it became clear in 1953, when Helmut Wobisch, a former SS Unterscharführer (junior squad leader) and member of the Sicherheitsdienst in the Reichssicherheitshauptamt, was elected as acting head, that the policy of drawing-the-final-line had penetrated to the small world of the orchestra. But even the Vienna Philharmonic, which, according to a self-description from 1947, was ‘part of world history’, was not immune to the twists and turns of Austrian history, although this did not become apparent until the 1990s. In 1992 the orchestra paid homage in a concert to the seven of its members who had either been murdered or had died as a consequence of persecution after 1938, to the thirteen active members who had been expelled – most of them had subsequently emigrated – and to the nine members who had some Jewish blood and/or were ‘jüdisch Versippte’ (people related to Jews by marriage) and thus had lived under the permanent threat of having their provisional exemptions withdrawn. The psychological significance of the symbol ‘Vienna Philharmonic’, especially for Vienna’s postwar society, has not yet been assessed, and the same applies to other postwar memory sites. 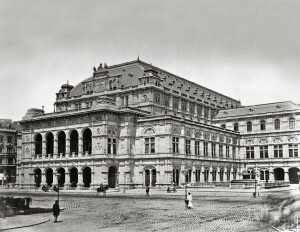 In a situation marked by utter devastation, political uncertainty and social instability, in which the struggle for day-to-day survival overshadowed everything else, institutions such as the Philharmonic offered a symbolic refuge and were an indirect source of motivation for people to join in the effort of rebuilding the state. In the announcement of the first postwar Philharmonic concert on 27 April 1945, Viktor Suchy found words to describe this graphically, even if the language appears to us today to be emotionally over the top: ‘This city is bleeding from a thousand wounds; from millions of eyes flow tears of suffering and bitterness about the brown plague [National Socialism] that has ravaged this city of ours until recently … Yet they have been unable, in spite of seven years of tyranny, to rob us of the soul of Austria, which has taken shape in our beloved music. 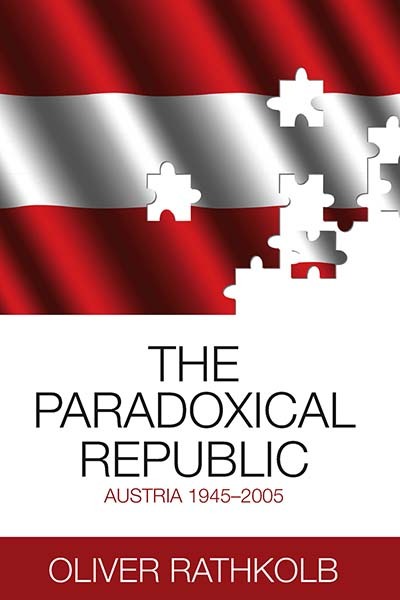 This pathos of the educated bourgeois is omnipresent in Austria’s postwar discourse: a pillar of the victim doctrine, it fills the vacuum of Austrian identity with an equally vacuous construct, the notion of Austria’s cultural grandeur and superiority. Oliver Rathkolb is Professor of Contemporary History of the University of Vienna and Head of the Department of Contemporary History. He was Schumpeter Fellow at the Minda de Gunzburg Center for European Studies, Harvard University and Visiting Professor at the University of Chicago. He has published widely on Austrian and European contemporary political and cultural history, international affairs and on business history. He was Founding Co-Editor of the quarterly Medien und Zeit (Media and Time) and is currently editor of the Journal Zeitgeschichte (Contemporary History). Rathkolb has written on the topic of the Vienna Philharmonic since the initial publication of this volume in 2010. Read his latest post here.